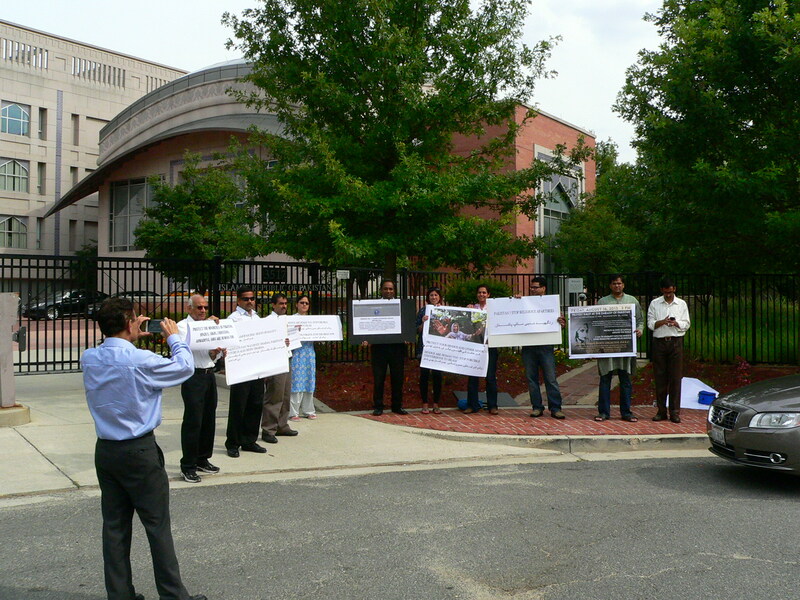 Members of five different organizations, under the umbrella of Pakistan Human Rights Collective (PHRC) protested in front of the Embassy on Friday (August 16, 2013). 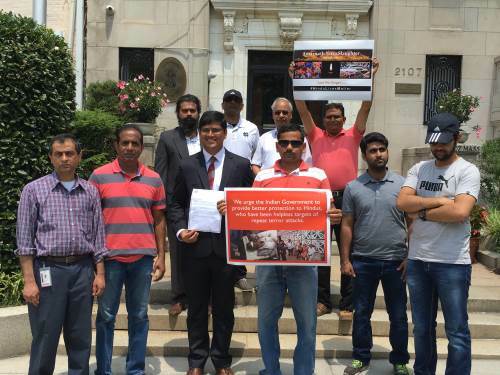 Utsav Chakrabarti, the relations coordinator for the World Hindu Council of America submitted a memorandum to Mr. Shaikh Muhammad Umar, Counsellor Community Affairs (CA), Embassy of Pakistan in Washington DC, on behalf these organizations. 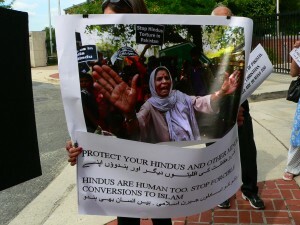 Quoting official census reports, Shivaram, one of the protesters said “When Pakistan was formed in 1947, the population of minorities was 24% including 18% of Hindus, now this population has reduced alarmingly to less than 2% and Hindus less than 1%”. 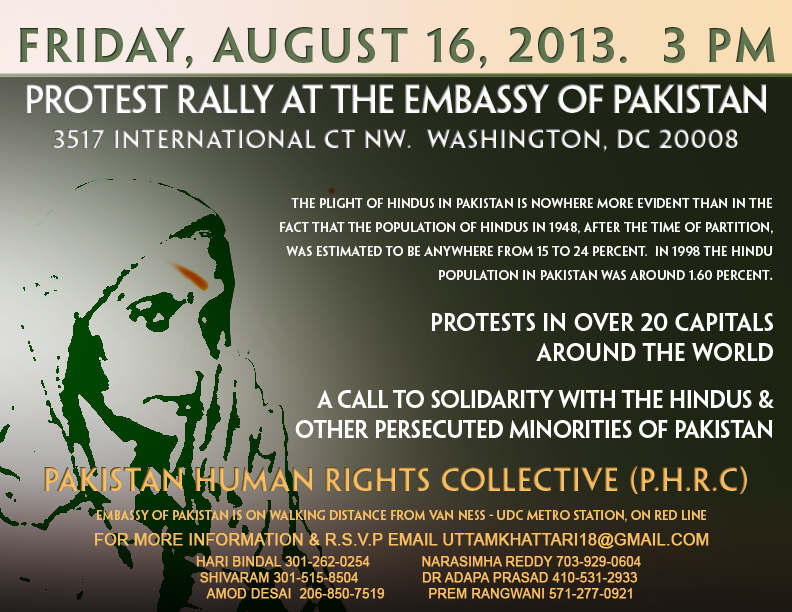 The story of Hindus in Pakistan is among the greatest untold tragedies of 20th century. More than 1/5th of population has simply disappeared without a voice and concern. 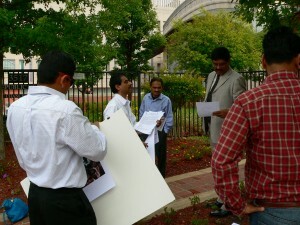 And this persecution still continues to this date unchecked. 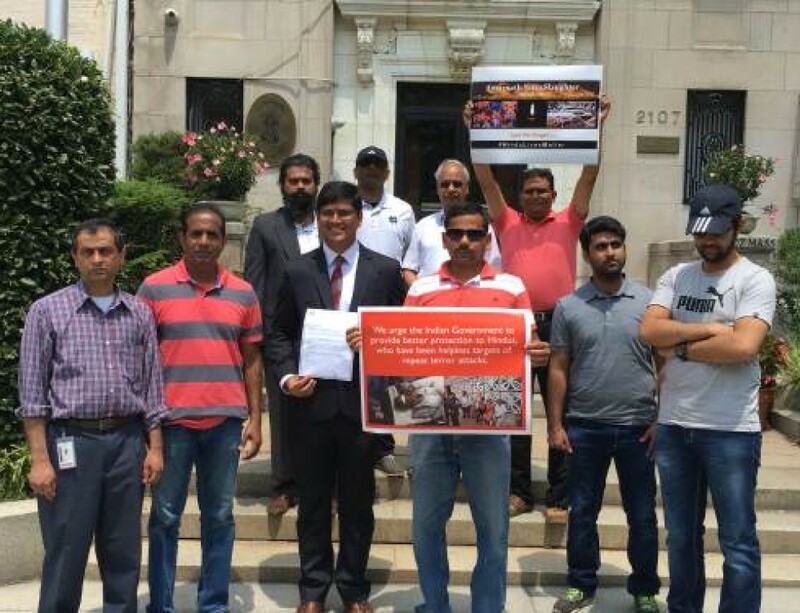 Jenica Wright, a human rights lawyer , who has worked with members of the minority community in Karachi said, “We, who belong to different social and human rights groups are very dismayed and sorry that no International forum has raised its voice against the violation of such serious human rights. 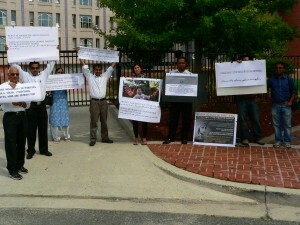 It is not acceptable to any citizen of a democratic country, what is happening in Pakistan. 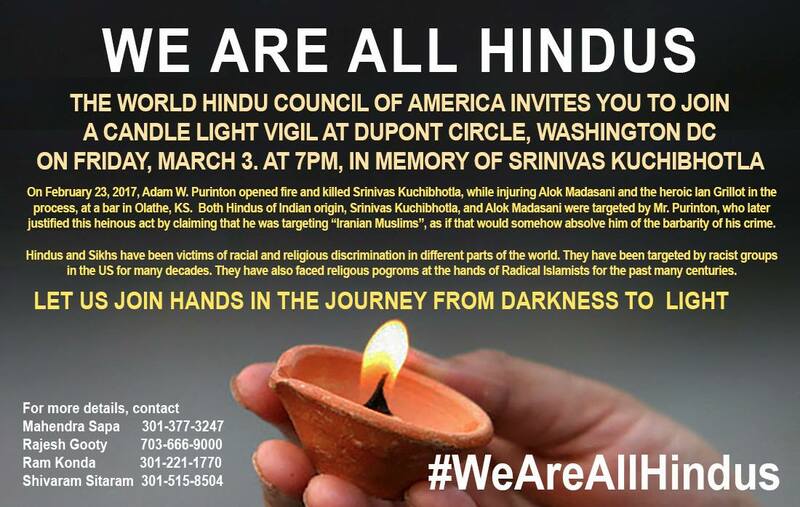 Every person has the right to have a peaceful and respectful life. 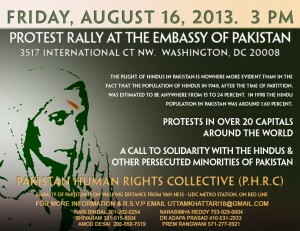 To register our protest, we are holding this demonstration at the Embassy of Pakistan on Wednesday, August 16th”. The members of the protest group strongly believed that Government of Pakistan needs to provide safety and security to its minority population and takes serious and swift action against the perpetrators of religious violence and violation of human rights of Hindus and other minorities. 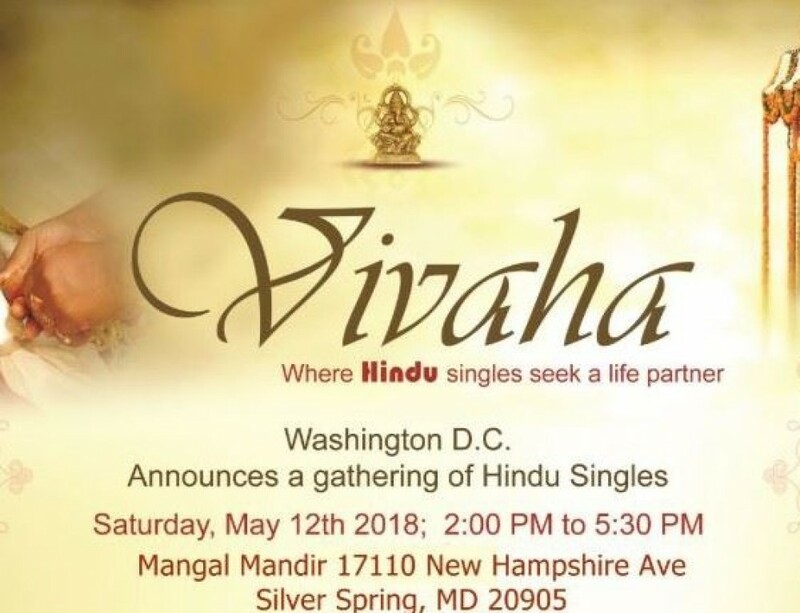 It is time that the nation of Pakistan demonstrates what its father of the nation proclaimed: … They (Hindus and other minorities) will enjoy the same rights and privileges as any other citizen…”. 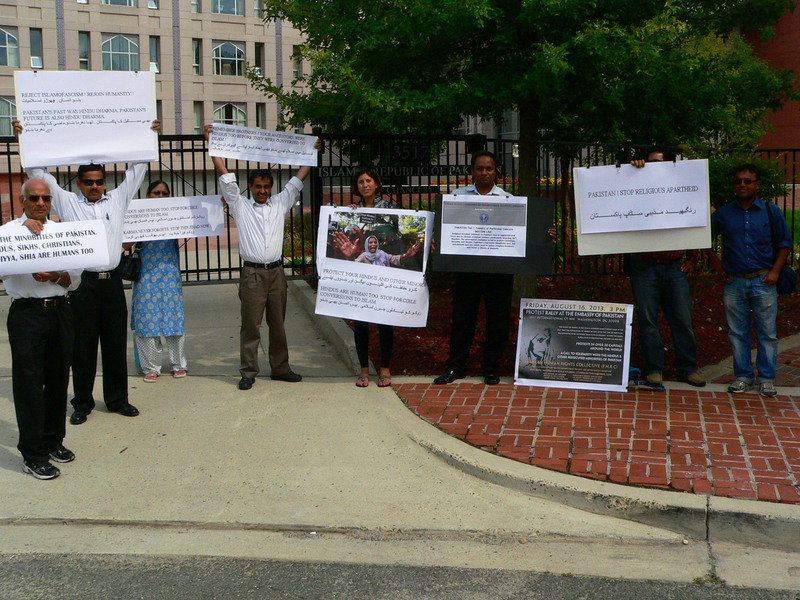 They demanded, that the perpetrators of forced conversion to Islam, that are being promoted by different Islamic leaders and associated seminaries, are swiftly brought to justice. 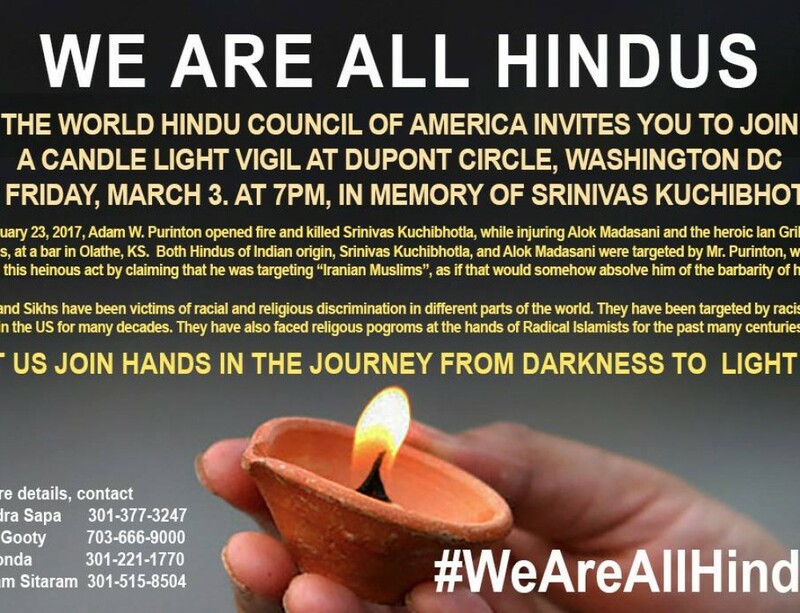 The World Hindu Council of America is willing to offer religious and social education to these culprits, so as to promote respect and equality for all humans to the different communities of Pakistan. 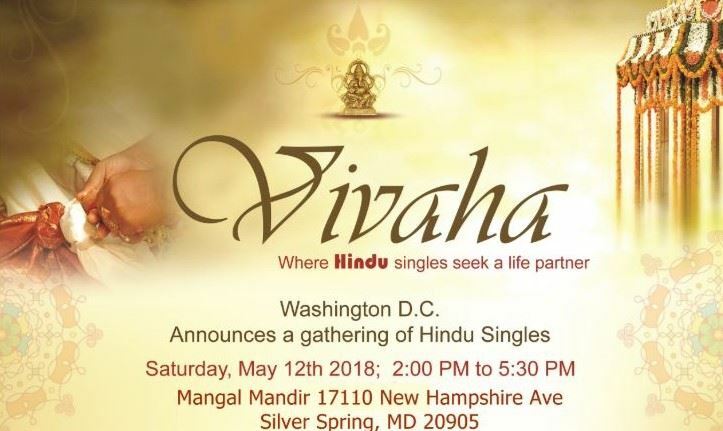 Mahendra Sapa, also from the World Hindu Council, demanded that Pakistan takes steps to promote respect for Hindu religion in their education system, and all the historical monuments and settlements that form part of Pakistan’s four millennia old history, are preserved and promoted.